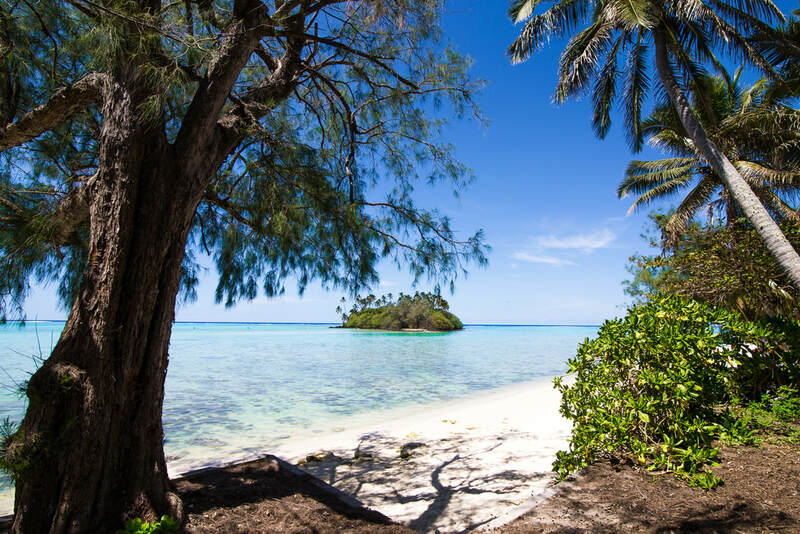 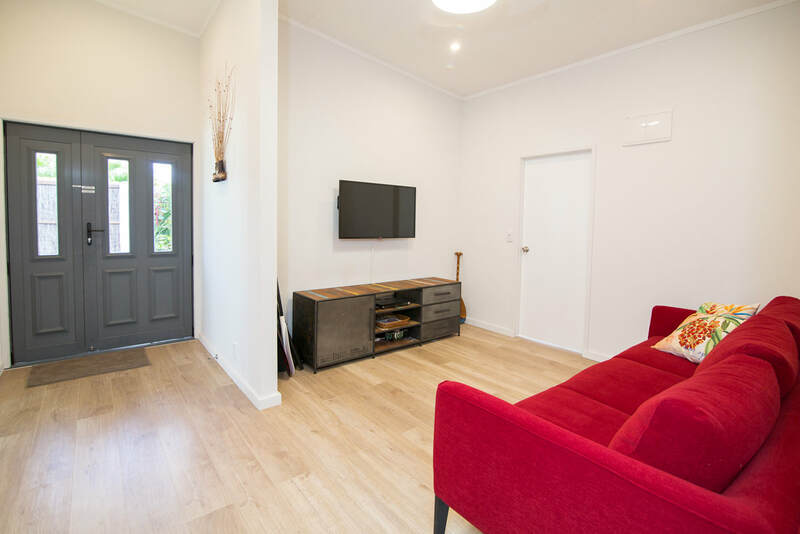 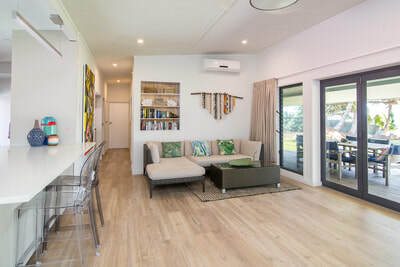 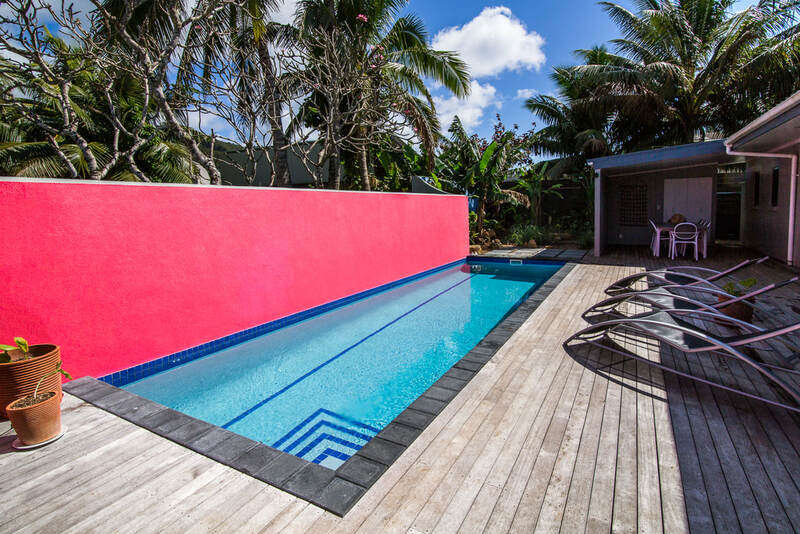 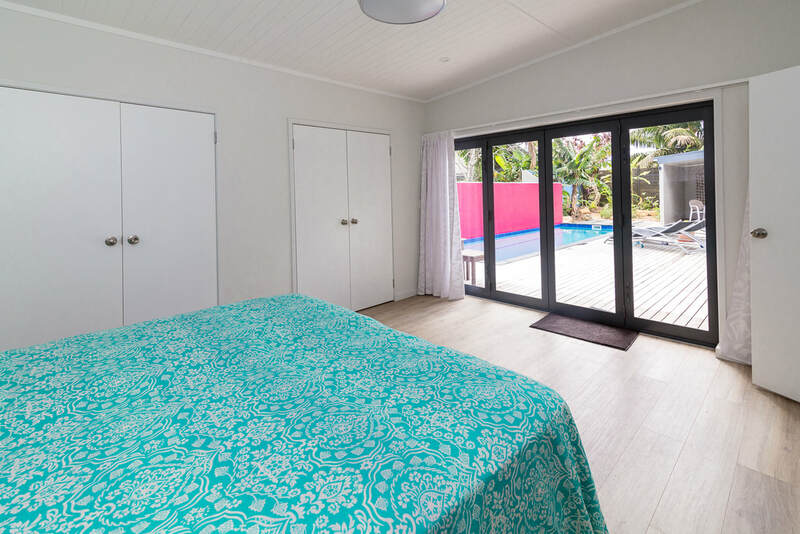 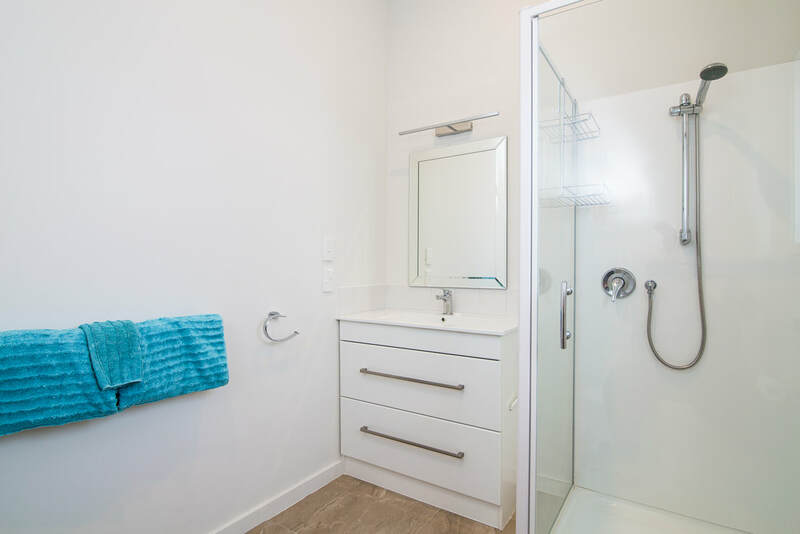 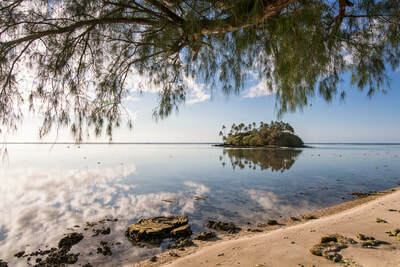 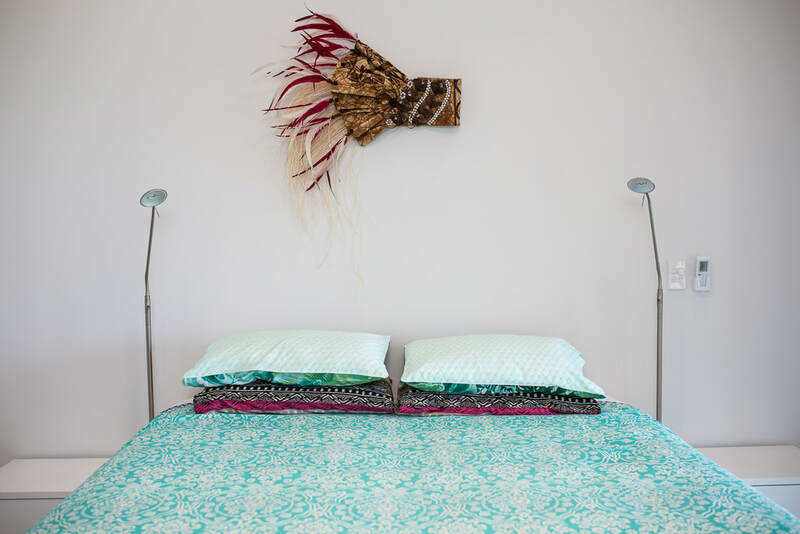 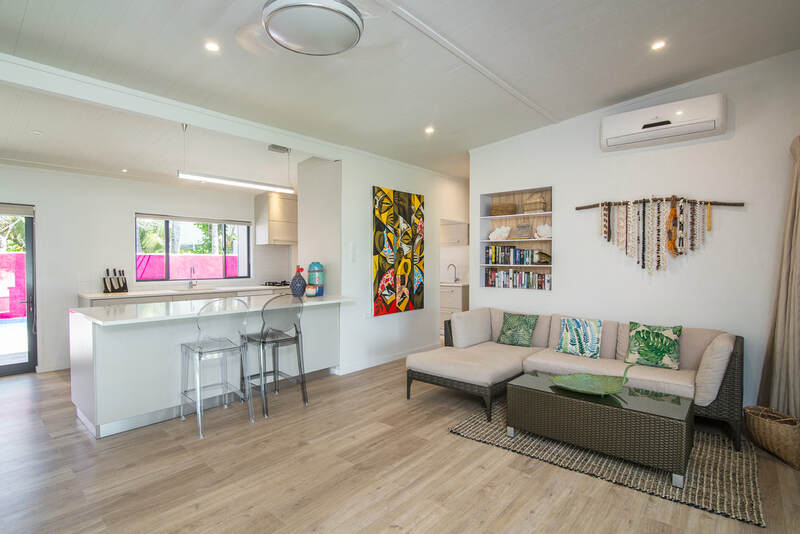 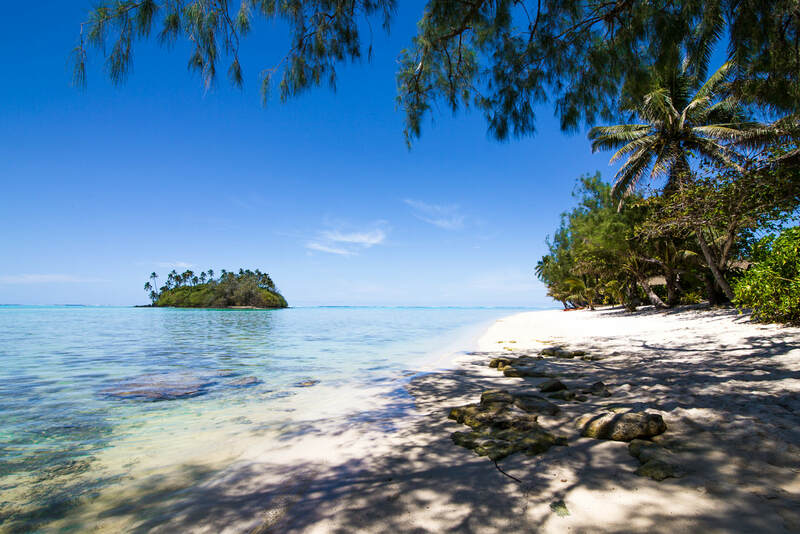 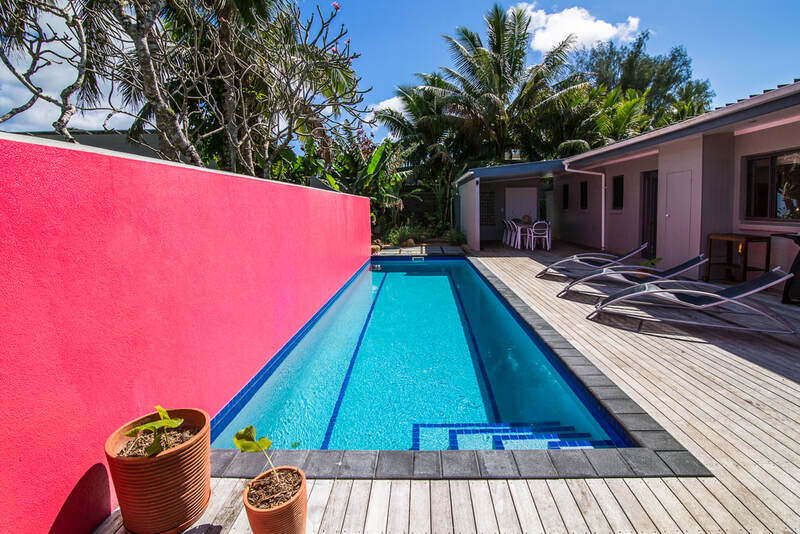 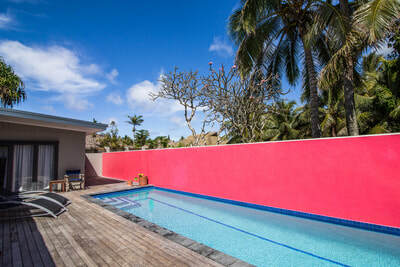 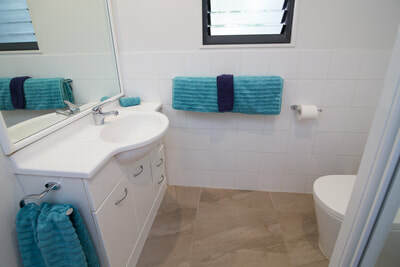 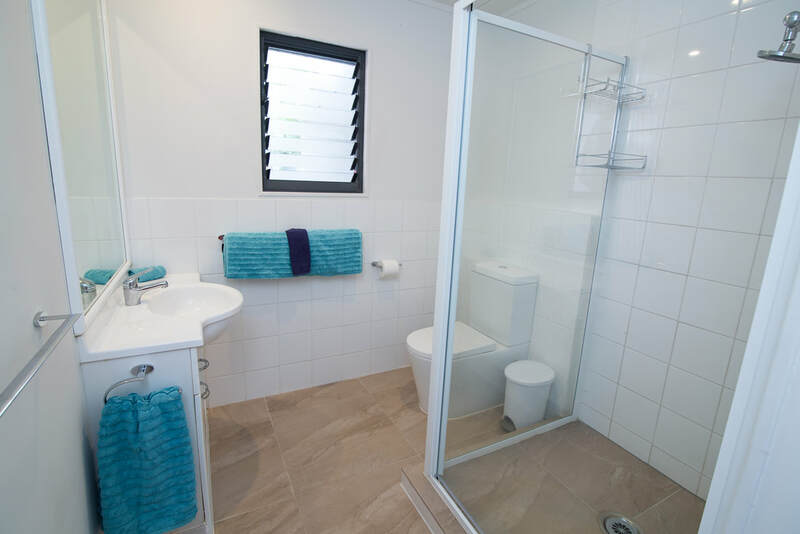 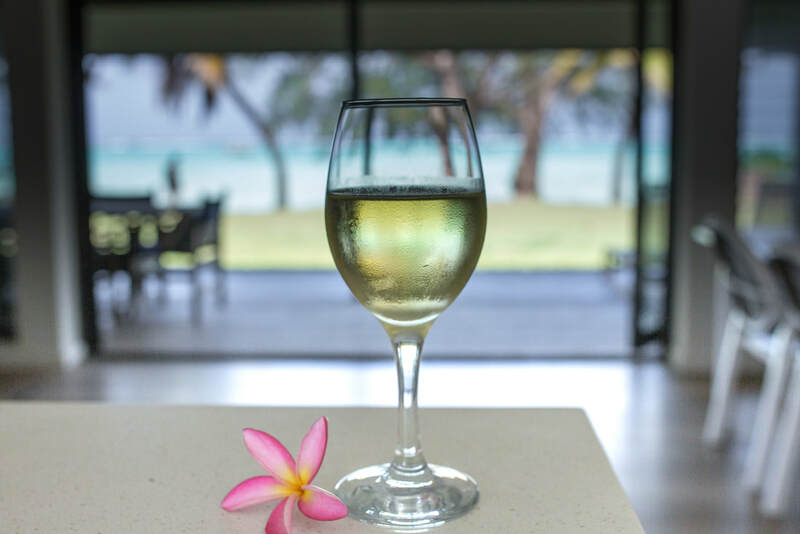 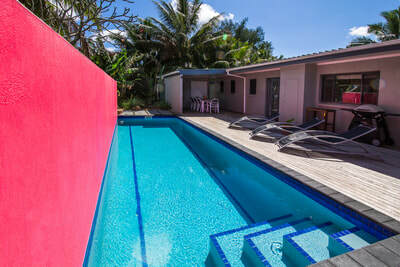 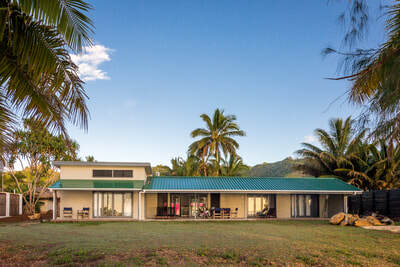 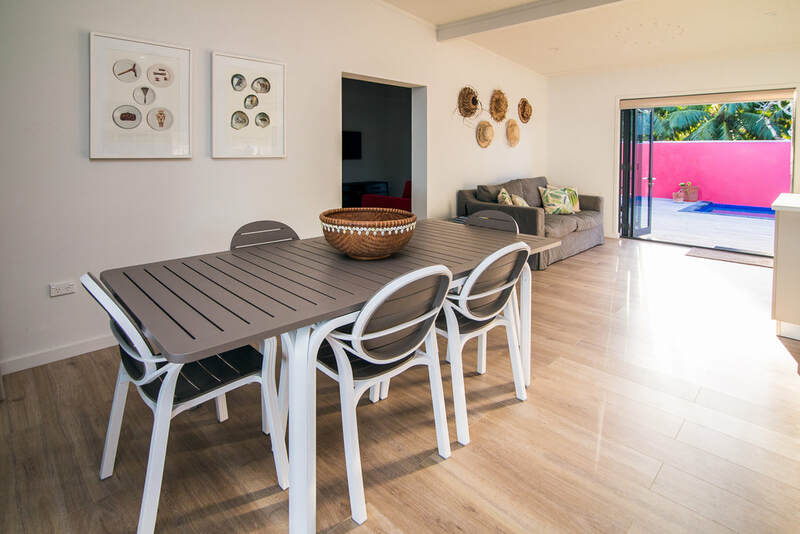 'Muri Matangi' is a beautiful newly renovated house situated in one of the most idyllic locations in Rarotonga right on the beach, overlooking the stunning Muri Lagoon. 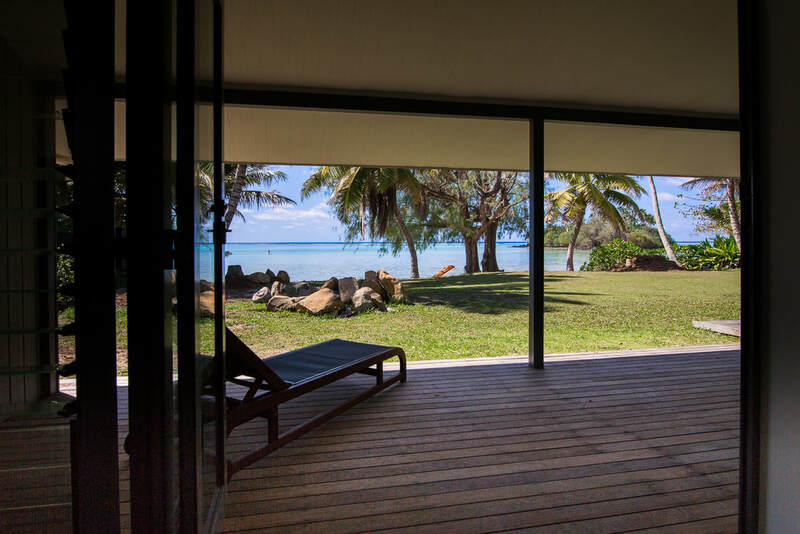 Wake up to the glorious sunrise, the scent of frangipani and meander onto the sand in front. 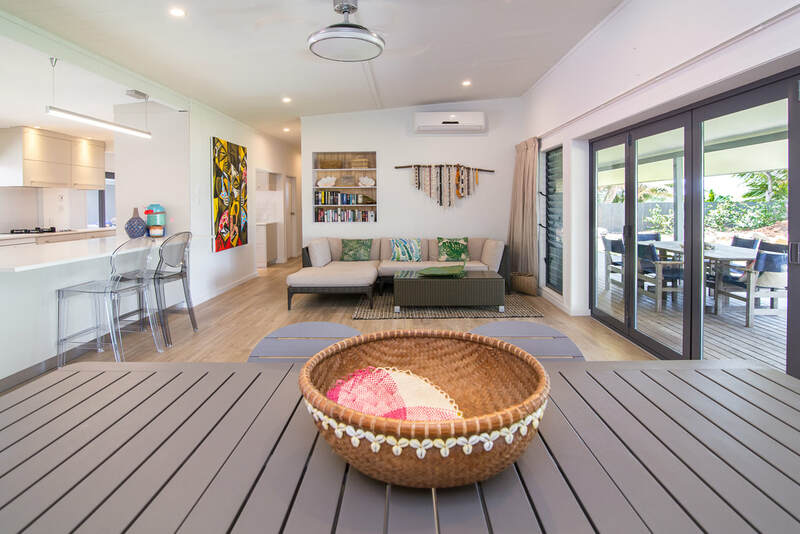 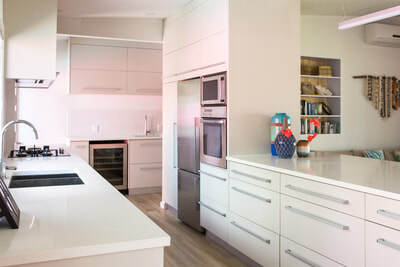 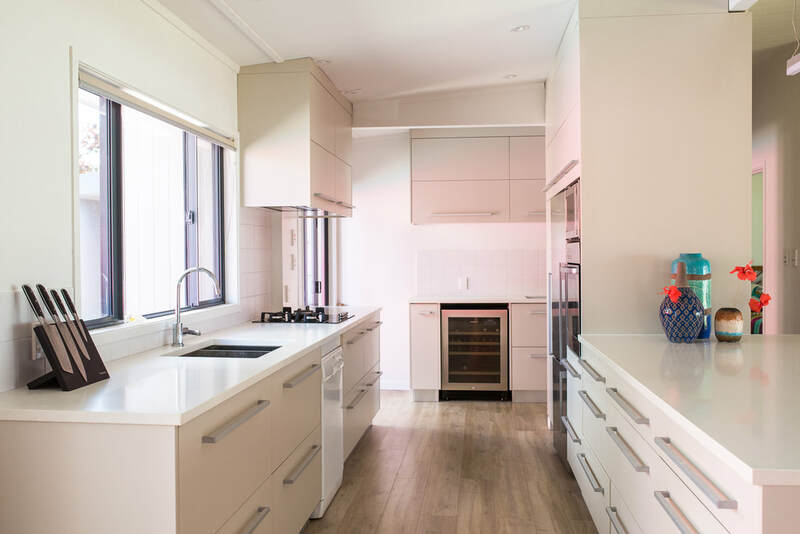 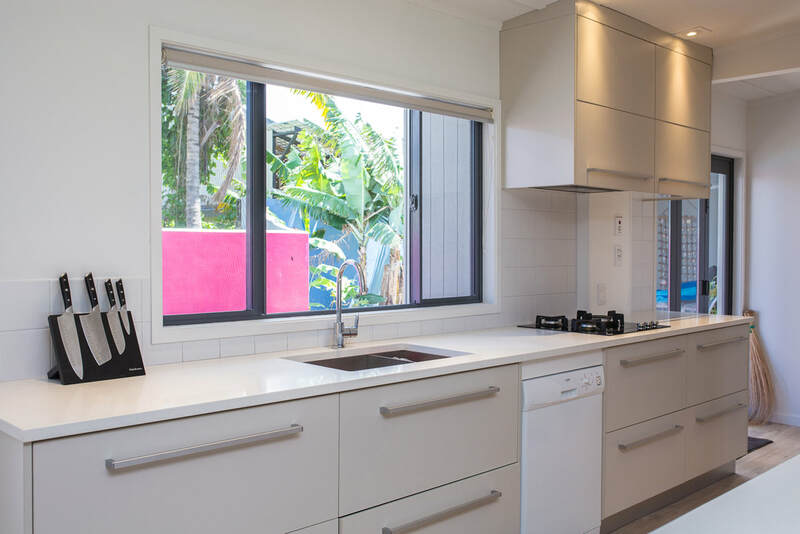 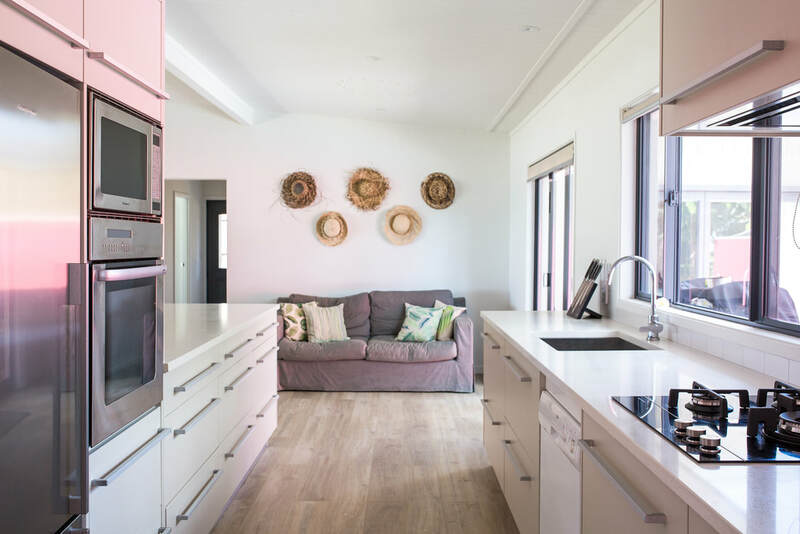 An exceptionally comfortable, fully air-conditioned home featuring a large modern open plan living, 4 bedrooms, 4 bathrooms, pool, BBQ, outdoor dining facing the lagoon/pool, tropical landscaped gardens, kayaks/paddle-board/snorkel gear. 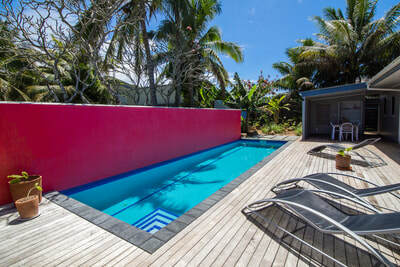 The house has a variety of areas in which to spend time facing either the lagoon or the pool. 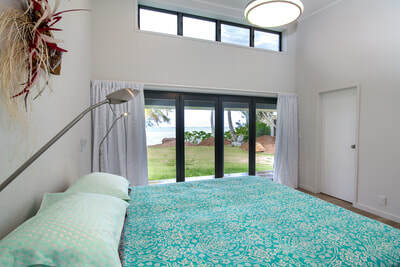 There is a large living/dining area as well as a comfy tv/family room to relax in with DVD player. 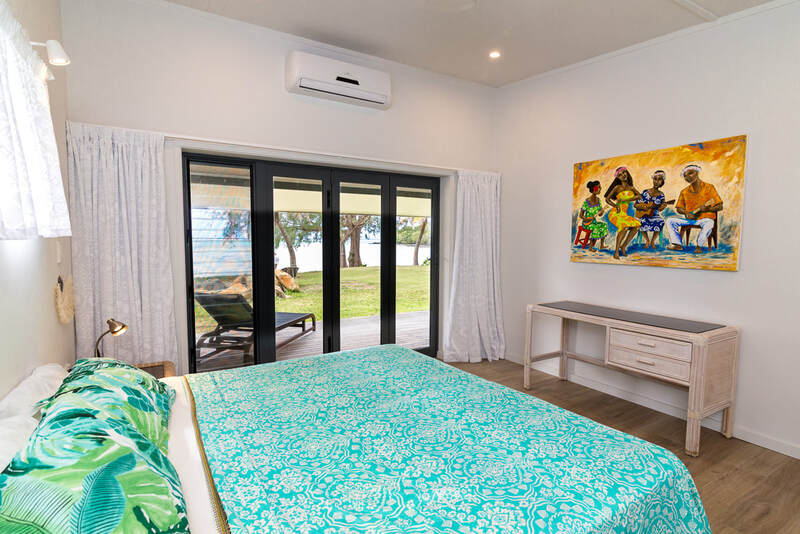 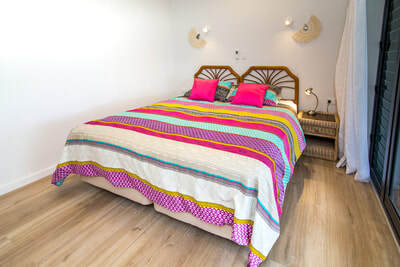 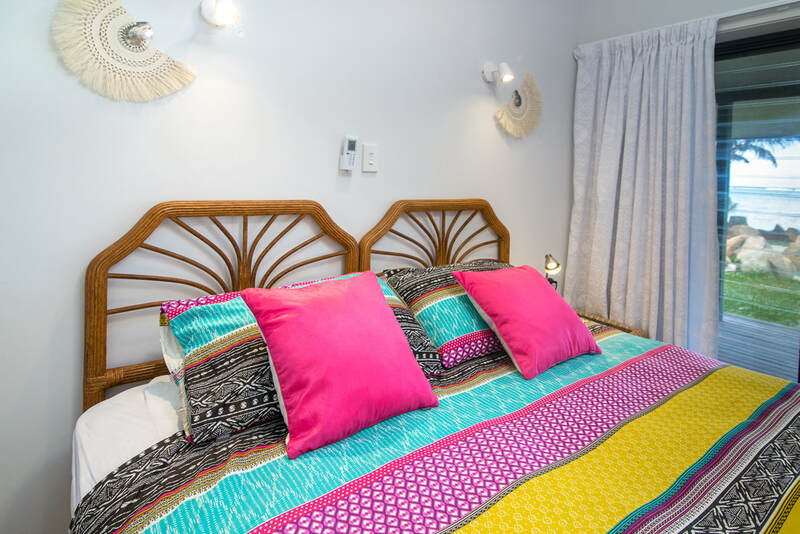 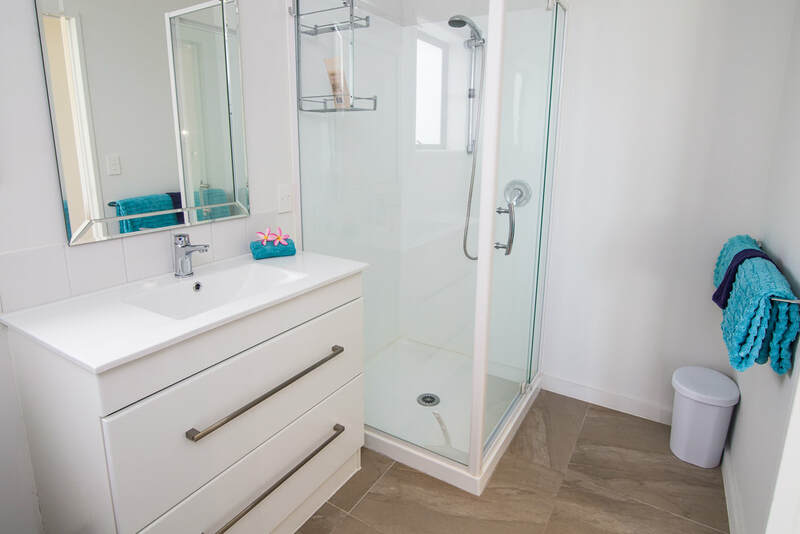 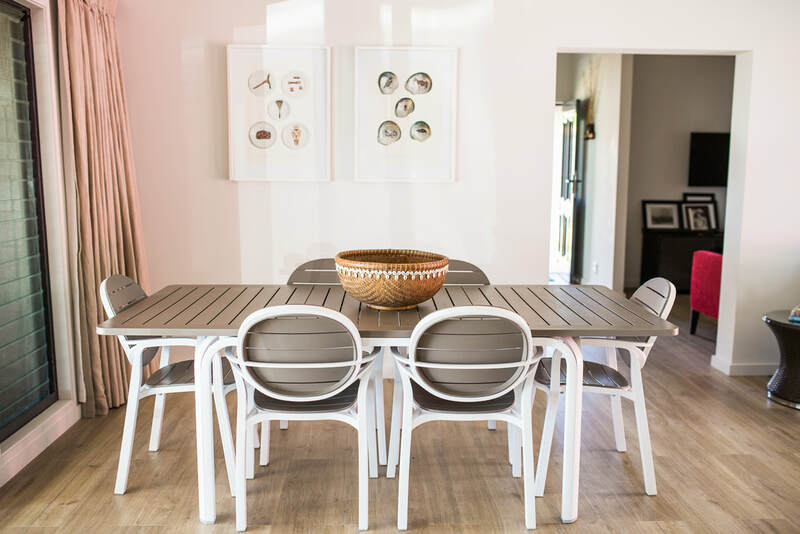 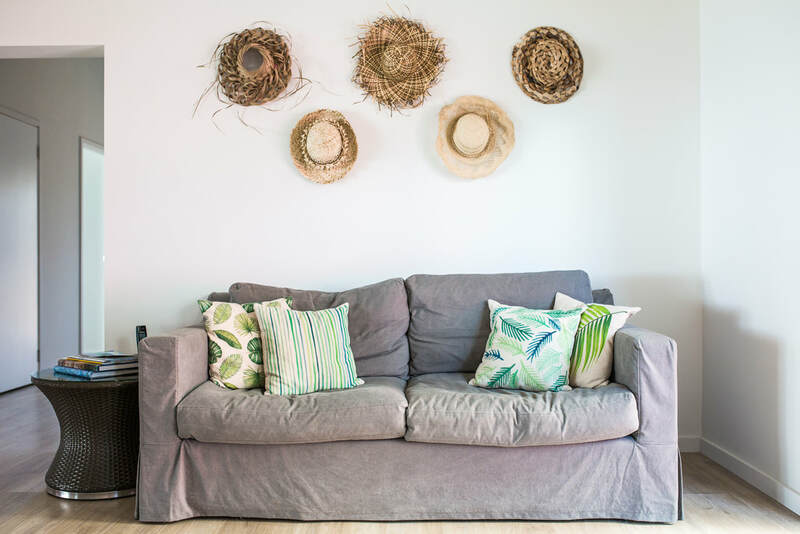 The walls are adorned with eclectic local art and creatively hung island crafts and costume pieces and even the outdoor shower towel rail is wrapped in shell necklaces to set the scene. 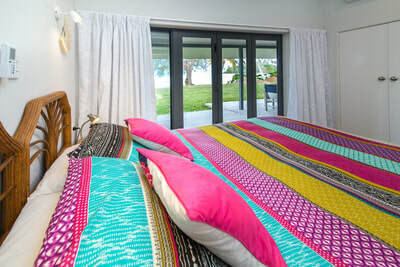 The bedrooms are large and all have king size beds which can also be divided into 8x king single beds if preferred. 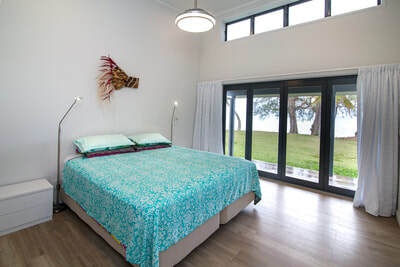 3 of the beds look out to the lagoon and the 4th bedroom faces the pool. 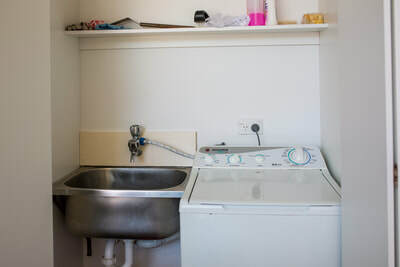 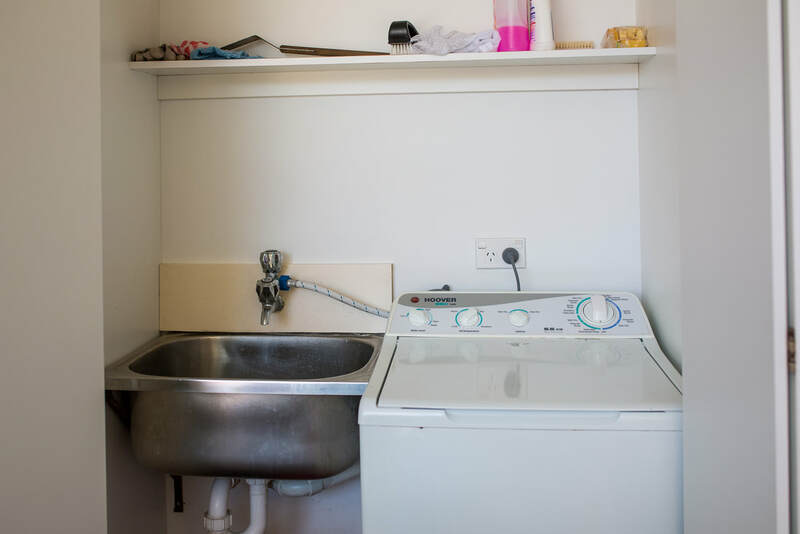 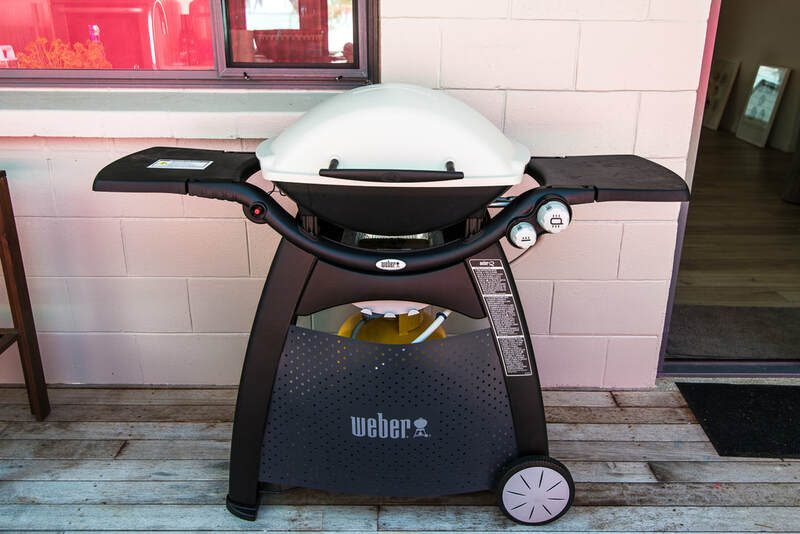 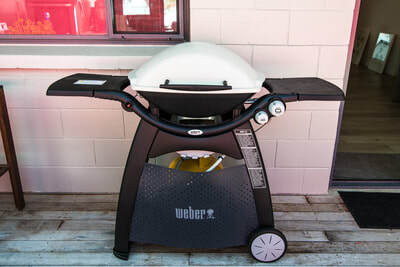 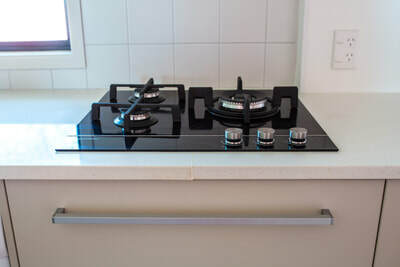 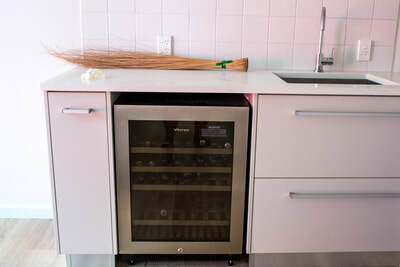 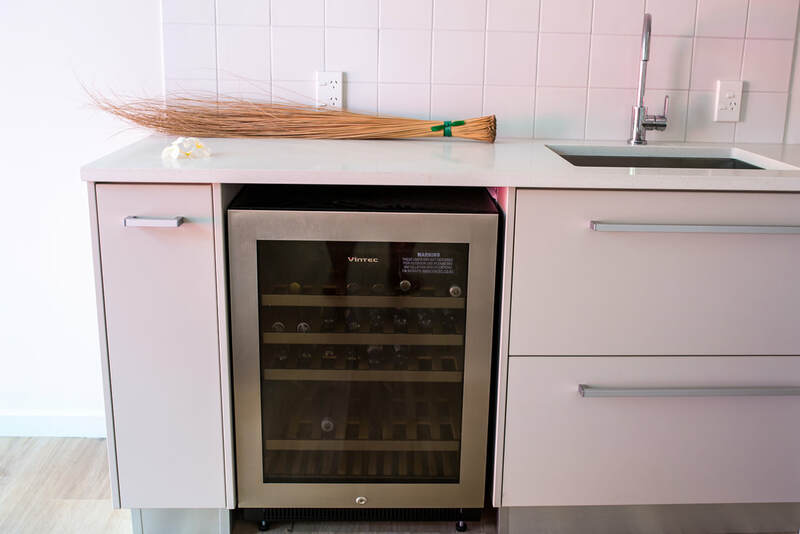 It has a real home feeling but with all the mod cons and a very well equipped modern kitchen. 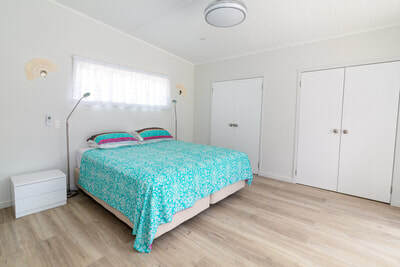 A short stroll from a variety of activities and conveniences. Visit nearby Muri night markets for inexpensive local food and atmosphere, walk down the beach to enjoy fine dining whilst your toes are in the sand looking on to the lagoon, duck next door to Nauitilus for a cocktail whilst enjoying an incredible view of Taakoka Island (Motu), kite surfing, paddle boarding, kayaking and snorkelling is just in front of you. Closeby is car/scooter hire, petrol station/shop, gallery, cafes, a choice of great restaurants, bakery, souvenir shops & phone sim card shopfront. It's all too easy and fun! 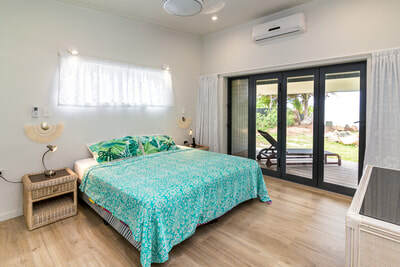 ​* all beds can be split to make singles.